I don't know if you will find new and helpful information in my post of the thread "Pugnacious vs. Pathetic: My Permanent Pendulum" on this sub-reddit, but you may. I've been a witness to this on several occasions. Some won judgments. Others got nothing but grief. And the ones who "won" judgments paid a significant price during the depositions they had to give the defense attorneys. What you elect to do is your own business, of course. I could have "played nice" and come away with a pretty good nest egg when my adoptive mother finally passed. But she was such an insufferably self-righteous fraud (as well as abusive to my spouse), that I just walked away. After reading books like those listed below, I'm convinced now that I would have done myself a lot more damage to just remain in contact, let alone have to fight with her and her attorneys for a few years. 20) DBT's "FAST" interpersonal-boundary-setting skills set (at DBTSelfHelp.com). 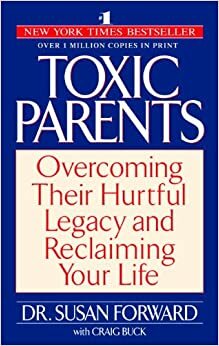 Once you have those down, reading books like these with a journal close by to make notes and process in as one comes to tease out the truth from the family fantasies and secrets usually works wonders. Also likely to be helpful: From Bipolar to Borderline to Complex PTSD: The Long Way Around the Recovery Barn. What in the world is normal? (Because normal does not mean "healthy" or "functional.") Okay... Let's move on to some suggested reading and other activity, shall we? DBT's "FAST" interpersonal-boundary-setting skills set (at DBTSelfHelp.com). Suggested for perusal (because there are books in there that are all over the stuff you wrote above). Pretty similar FoO background here. Had to do all the stuff listed in the earlier post at the link below to dig out of the upshots to the extent that I have. Have also read and done the work suggested in the books listed after that first link. I read all this stuff about where each of were at any given time on the Karpman Drama Triangle... and learned boundary setting skills. Cut her off and kick her out. She will never change. 2 Chor 12: 14 "for the children ought not to lay up for [their] parents, but the parents for [their] children. "